Presented March 20, 2015 at the Annual CANA Council held in McLean, Virginia. I welcome each of you to this annual Council meeting of the Convocation of Anglicans in North America. I am thankful for each one of you and the considerable investment of leadership, time and finance that is indicated by your attendance at this meeting over the coming days. I am especially grateful for the presence of the Most Rev. Michael Akinyemi, Archbishop of the Ecclesiastical Province of Kwara and The Most Rev. Ignatius Kattey, Archbishop of the Ecclesiastical Province of Niger Delta. Your Graces’, you are very welcome among us. You honor us in CANA with your attendance at this year’s council meeting. Your presence among us signifies the foundational relationship that continues to be secure and strong between the Church of Nigeria (Anglican Communion) and the Convocation of Anglicans in North America. I will say more about the relationship between the Church of Nigeria and CANA later in this address. As your Missionary Bishop, it is my responsibility to present this pastoral address to our Convocation. In this address I will talk about our life together as a Convocation, our relationships with the Church of Nigeria (Anglican Communion) and the Anglican Church in North America and we will study the Council Scripture from Philippians chapter 3. 2015 is a very significant year for our Convocation. On August 2nd, 2005 CANA was legally incorporated in the State of Texas. This year marks the tenth anniversary of our official incorporation as an Anglican missionary jurisdiction in North America. CANA began with a handful of faithful and courageous ex-patriot Nigerian congregations who were desirous of maintaining a direct relationship with the Church of Nigeria (Anglican Communion) amidst the turbulent theological revisionism that was reshaping the Anglican Church in the United States and Canada. Very soon after our founding it became clear that CANA was considered a very desirable jurisdiction not only for ex-patriot Nigeria clergy and congregations but many North American clergy and congregations who upheld historic biblical Anglican Christianity. At the time, the response of the established hierarchy in New York and London was that our actions were ‘unhelpful’ and violate historic Anglican polity. As recently as last month, when I was visiting the United Kingdom, I was asked if a jurisdiction of the Church of Nigeria within the boundaries of another Province in North America could be considered as Anglican? Furthermore it is stated that Anglicans profess the faith that is uniquely revealed in the Bible and set forth in the Catholic Creeds (the statements of faith developed in the Early Church that are still used in the Church’s worship today). Anglicans also bear witness to Christian truth in historic texts that were developed in the sixteenth and seventeenth centuries: the Thirty-nine Articles of Religion, the Book of Common Prayer and the Ordinal (services for ordaining bishops, priests and deacons). In what my friend The Rev. Ian McNaughton calls in his commentary on John chapter 17 “The Real Lord’s Prayer,” Jesus does not pray for cheap or superficial unity. He prays that the church may be organically unified to the Father and the Son sharing the divine life, reflecting and embodying the very unity which Jesus has with the Father. CANA is excited about the future. We have good news of great joy for those who live in the darkness of a post-modern world that has few answers and many questions. We believe that we have a message of hope for those who live in fear and the promise of new life for those who have lost their way. CANA is not primarily concerned about DOING church but about BEING church. CANA was missionary then and she is missionary now. As a Convocation we exist not only as a jurisdiction for the 120 congregations and 450 clergy and chaplains who serve as members of our Convocation, we exist as a missionary movement called by Almighty God to replant biblical missionary Anglican Christianity across North America. This is the mission to which we in CANA have all been called by Almighty God. Perhaps now, more than any other time in the history of North America we must zealously pursue our missionary mandate to make disciples of Jesus Christ. The author was in fact celebrating this trend and the secularization of American society. He stated that 30% of Americans between the ages of 18 and 29 are without any religion at all. Brothers and sisters in Christ, these concerning and disturbing statistics are not obstacles that prevent us from impacting our society with the love of God, they are in fact tremendous mission opportunities to teach and share the gospel message, to uphold the sanctity of every human life, to engage our nation in discussion and teaching about the value, impact and history of biblical marriage and family life. From its founding until this very moment, we in the Convocation of Anglicans in North America know that without Him we are nothing, but with Him there are no challenges or obstacles that we cannot overcome. 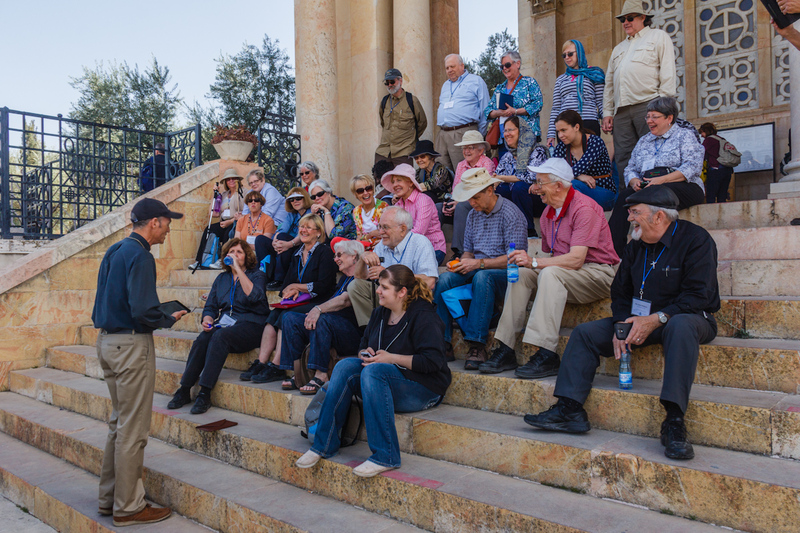 CANA’s ministry is greatly impacted and strengthened by its bishops, dioceses and ministries. The Jurisdiction of the Armed Forces and Chaplaincy, under the oversight of The Rt. Rev. Derek Jones supports the endorsement and care of chaplains under the oversight of the Bishop of the Armed Forces and Chaplaincy serving in the US military, federal and local government, hospital and hospice, law enforcement and other vocational and volunteer chaplains serving their communities. ‘Anglican Chaplains’ is a remarkable ministry. In June 2014, Mama Cana and I had the privilege of supporting Bishop Jones at his installation as the diocesan bishop of this special jurisdiction. We are very proud and honored that the jurisdiction remains an important part of our Convocation and Bishop Jones a full and active part of our shared life together. The Missionary Diocese of CANA West, under the leadership of The Rt. Rev. Felix Orji, the diocese believes that the Church is the place where people come to worship God in Spirit and Truth, get converted through penitent faith in Christ as Savior, experience true saving and sanctifying grace through the gospel, feed from the Bible, learn humility, fellowship, love, obedience and faithfulness, be empowered by the Holy Spirit and equipped to live like disciples and followers of Christ who go out and make more disciples for Christ to the glory of God the Father. Bishop Orji is a very active voice in our life together and his leadership is highly respected in our Convocation. The Missionary Diocese of the Trinity, under the leadership of The Rt. Rev. Amos Fagbamiye is a Diocese composed of believers united by a common faith in the Lord Jesus Christ. United by a commitment to be Christ centered and all inclusive, serving a multicultural and multiracial community of faith. MDT is a full fledged ecclesiastical unit that operates as a missionary, evangelical and church planting mission and movement as a non-geographical cluster of churches and congregations in North America and Canada. I am very thankful to God for Bishop Fagbamiye and his leadership of the diocese and very much look forward to being in Indianapolis in July for the synod of the MDT. In addition to my ministry as your Missionary Bishop, I also have the deep privilege of serving as the Bishop of the Missionary Diocese of CANA East. The diocese stretches from Maine to Miami and from Tulsa to The Bronx. Headquartered here in McLean, Virginia — we are home to 31 congregations and over 65 parochial and non-parochial clergy. In addition to the diocesan bishops, CANA is blessed by God to be served by Bishop Dave and Mary Ellen Bena in Virginia, Bishop David and Mary Ann Anderson in Georgia, Bishop Roger and Gretsie Ames in Ohio and Bishop Martyn and Angela Minns in Florida. I commend our CANA bishops to your personal and public prayers. These faithful men, their wives and families often find themselves on the front line of intense spiritual pressure. Pray that Almighty God would protect them and their familes, provide for them, empower them and use their lives for His glory alone. The Church of Nigeria [Anglican Communion] established CANA as a Holy Spirit-filled, gospel-centered, apostolically commanded, incredible gift to rebuild and replant biblical Anglicanism in North America. At this juncture I wish to acknowledge the outstanding leadership of our Primate, The Most Rev. Nicholas D. Okoh. Archbishop Okoh takes a genuine and personal interest in the life and ministry of our Convocation. In August last year, the Primate made his Primatial visit to CANA and spent time in Houston, Texas, here at the CANA Headquarters in Virginia, in Newark, New Jersey and then in Vancouver, Canada. He held very informative and instructive meetings with the CANA bishops here in our offices and participated in the life of CANA across North America. I describe the relationship between the Church of Nigeria (Anglican Communion) and CANA by the following five explanations: Christ centered, legally established, missionally empowered, mutually affirming and unimpeachably Anglican. Christ Centered: The Church of Nigeria (Anglican Communion) and CANA express our loyalty as disciples to the King of kings, the Lord Jesus. Legally Established: The Church of Nigeria (Anglican Communion) legally amended its Constitution and Canons to accommodate for missionary convocations outside the geographical boundaries of Nigeria. Missionally Empowered: The Church of Nigeria seeks to empower the bishops, clergy and congregations of CANA to develop biblical, evangelical and growing ministries. Mutually Affirming: Both the Church of Nigeria and CANA benefit from the Christ centered interconnection which is the foundation of the relationship. Unimpeachably Anglican: The Church of Nigeria and the Convocation of Anglicans in North America maintain the historic Faith, doctrine, sacrament and discipline of the one holy, catholic, and apostolic Church as the Lord has commanded in His holy word and as the same are received as taught in the Book of Common Prayer and the ordinal of 1662 and in the Thirty-Nine Article of Religion. The relationship provides CANA bishops, clergy and congregations with canonical residence in the Church of Nigeria (Anglican Communion) with the same status as bishops, clergy and congregations from within Nigeria. As many of you will be aware, Nigeria as a nation is facing challenges on numerous fronts. Politically, the general election which has now been delayed until March 28, has caused some unrest and tension across the country. Religious tension has reached unprecedented levels with jihadi terrorist group Boko Haram declaring allegiance with the Islamic State. Although Nigeria was able to tackle the Ebola crisis much more effectively than other African countries, it remains stricken by the insurgency of Boko Haram in the north east of the country, a crisis which is proving to be even more deadly than the killer disease. More people have been killed in Nigeria by Boko Haram than have died in the entire Ebola epidemic, and the bloodletting seems to be only getting worse. Over 10,000 people have been murdered at the hands of Boko Haram in the last year alone. Many of our Anglican bishops and congregations have been affected. In a courageous display of tenacious and defiant faith, the Archbishop of Maiduguri told me last month that when the bombs explode in Maiduguri, the Christians have determined not to flee, but to gather in their churches and pray. I am very thankful to The Lord for the godly and strong relationship between the Church of Nigeria (Anglican Communion) and the Convocation of Anglicans in North America. As your Missionary Bishop, I indicate to this Council, that although we may come under pressure to dissolve or change the status of the current relationship with the Church of Nigeria, the relationship is secure, it is highly valued by the CANA bishops and is the foundation of our affinity together in the mission to which Christ has called us. I support introducing a motion during our business session calling upon this Council to express its support for the continued relationship that exists between The Church of Nigeria (Anglican Communion) and the Convocation of Anglicans in North America and in addition expressing this council’s serious concerns and prayerful engagement on behalf of Christians in Nigeria and everyone whose life and livelihood have been or are being devastated by the attacks of Boko Haram. In addition to the jurisdictional structure with the Church of Nigeria (Anglican Communion), CANA is a founding jurisdiction and full member of the Anglican Church in North America. As such, the CANA bishops serve as bishops of the Anglican Church in North America and CANA dioceses, congregations and clergy are members of the Anglican Church in North America. This the first CANA Council to meet since the election of The Most Rev. Dr. Foley Beach as Archbishop and Primate of The Anglican Church of North America and I warmly welcome a motion that will be introduced at our business session expressing goodwill and support for Archbishop Beach and the mission and ministry of the Anglican Church in North America. While the Anglican Church of North America is not currently an officially recognized province of the Anglican Communion, the Church of Nigeria was the first province to formally and unanimously recognize the Anglican Church in North America. 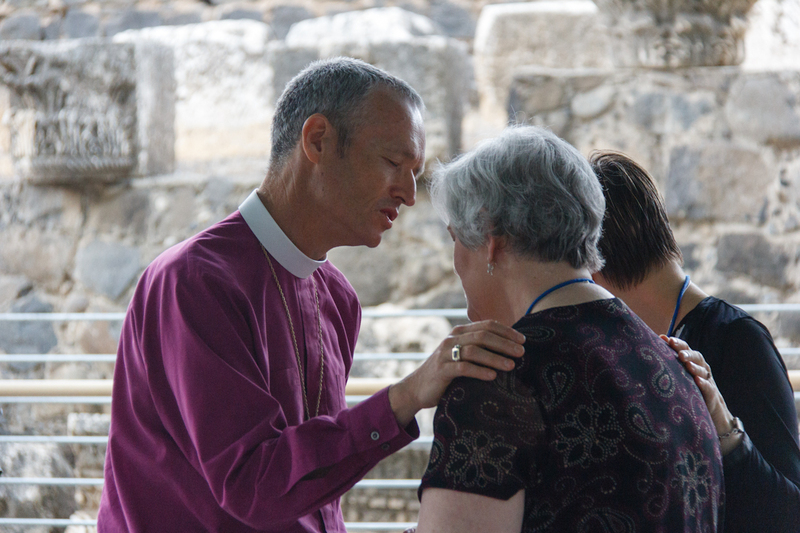 Both provinces enjoy full communion with one another through common membership in the Global Anglican Future Conference (GAFCON). There has been considerable recent discussion in The Anglican Church in North America about the challenges of multiple overlapping dioceses and jurisdictions. Archbishop Beach has asked me to serve as a member of the Anglican Unity Task Force, which is considering this matter. I am less anxious about the multiple jurisdictions in The Anglican Church in North America because I firmly believe that to be effective gospel missionaries in the 21st century we must move from territory-centered structures to missional and relational structures. This requires us to build Christ-centered relationships with one another, to think ‘outside the box’ and to do whatever it takes to replant and rebuild biblical missionary Anglican churches across North America that faithfully proclaim the gospel and see numerous people converted to faith in Christ. The relationship between The Church of Nigeria (Anglican Communion), The Anglican Church in North America and the Convocation of Anglicans in North America is governed by a protocol which was renewed and signed in 2013. This protocol provides a mechanism for the election of new bishops, governance and jurisdictional matters and relationships between CANA dioceses and the dioceses of the ACNA. 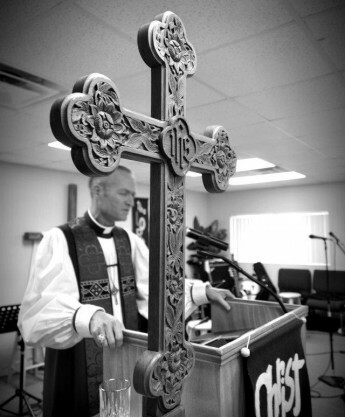 I encourage your private and public intercession for Archbishop Beach and the Anglican Church in North America. At our 2014 meeting this Council unanimously approved significant changes to the way the Convocation is governed. The Council agreed to dissolve and disband the Executive Committee and strengthen the CANA Board of Trustees. The Board now consists of the CANA diocesan bishops and one elected lay representative from each CANA diocese. In addition, the Missionary Bishop is permitted to appoint no more than two delegates from across the convocation to help ensure that the Board of Trustees is properly representative of the full Convocation. I am very grateful to the current Trustees who have steered CANA from its founding to the remarkable Convocation which is represented at this Council Meeting: Abraham Yisa, Esquire, The Honorable Samuel Thomsen, Mrs. Patience Oruh, General Robert Beasley and Chief Jimmy Delano. Thank you all for your exceptional leadership and for your personal investment in the leadership of CANA. Under our amended structure, these five Trustees are entitled to serve one additional two year term on the Board. As required by our by-laws, the Primate of all Nigeria has signed the amendments and we are now governed under this amended structure. I especially want to acknowledge the significant and invaluable support of our Chancellor, Scott Ward, Esquire. Scott continues to serve this Convocation with Christ like humility and dedication. His wisdom and legal counsel are a gift from God and sincerely appreciated by me as Missionary Bishop and my executive team. Thank you Scott for your support and friendship. Thank you for your wisdom, guidance and prayers and very especially on behalf of this Council, thank you to your wife Susan and your daughters Meghan and Emma who so graciously share you with us (sometimes at very short notice). I am incredibly grateful for my small and very dedicated executive team at the CANA Headquarters in Virginia. The Rev. Canon Neal Brown continues to serve voluntarily as our CANA Administrator and offers much needed leadership, especially given my demanding travel schedule. Mrs. Brenda Dobbs continues to serve as the CANA Registrar, ensuring that our dioceses share common procedures and our database of clergy and congregations remain current. Mr. William Reynolds is our new book-keeper giving management to the CANA finances. Miss Moriya French serves as administrative assistant to the Registrar and myself. Our modest offices are located within the Barnabas Aid complex here in McLean, Virginia. Barnabas Aid works to support Christians where they are suffering and under pressures as a result of their faith in Jesus Christ. I strongly commend the work of Barnabas Aid to each of you, your congregations and dioceses as a mission organization worthy of your prayer and financial support. Last year’s CANA Council resolved that each CANA congregation tithe a minimum of 4% of their income to their respective diocese. This will enable each diocese to make their required contribution of $750 per month to the CANA Headquarters. This has proven to be a challenge for some congregations and dioceses, however I encourage you that generous and regular giving both to your diocese and from your diocese to the Convocation is an important mechanism for you to support the funding of our ministries across the CANA family. Before I turn to our Council Scripture from Philippians chapter three, I want to acknowledge the unconditional love and faithful support I receive from my darling wife Brenda, MAMA CANA. Brenda faithfully and quietly stands beside me, supporting me, praying for me, encouraging me, complementing me, travelling with me, loving and forgiving me. Thank you Brenda, for without you, I would not be who I am. Thank you Brenda for believing in me and believing in the Convocation of Anglicans in North America. Some of you are aware that I enjoy long distance running. The Apostle Paul drew lessons from the sporting arena to underscore that the Christian life is no spectator sport. Not that I have already obtained this or am already perfect, but I press on to make it my own, because Christ Jesus has made me his own. Brothers, I do not consider that I have made it my own. But one thing I do: forgetting what lies behind and straining forward to what lies ahead, I press on toward the goal for the prize of the upward call of God in Christ Jesus. Philippians 3:12-14. The theme is the runner in the stadium running to win. There is a prize, there is passion. The prize, winning this race, is the most important thing in our whole lives. Lose this race and everything else is somehow meaningless. Paul’s abiding passion is to know Christ more and to know the power of His resurrection. Here is Paul, the master coach, offering five insights for Christian disciples who are passionate about their life in Christ. Be Realistic – Verses 12 and 13, Not that I have already obtained this or am already perfect, but I press on to make it my own, because Christ Jesus has made me his own. Paul begins with the way he views himself. Literally, I do not regard myself to have obtained. What athlete is ever satisfied with their performance? Here is Paul at the height of his power, an urban missioner, a founder of churches, an astonishing scholar, a public intellectual, a spiritual giant, a prisoner of conscience. All those things, accomplishing so much, and yet dissatisfied – saying, “I’m not there yet,” so much more to be done and to be accomplished. If you’re content with your Christianity (your congregation, your diocese) you are in a very dangerous place; for it is only the shallow Christian who feels that he or she is doing well. Here’s the first step in spiritual passion; develop a wholly dissatisfaction with your spiritual life. Not with Christ, but with how you know Him and love Him and serve Him and put your trust in Him. We are in training! All of us! The serious Christian knows they have got a long way to go. They’re not complacent about their spiritual condition or about their church life. They have a blessed discontent. They are realistic that they are not what they ought to be. Be realistic – know who you are! Do you see that? Great, great athletes in any discipline are all about specialization. They are ‘one thing’ people. When I train with other runners, very few of those people are exceptional skiers, or sailors, or hockey players – they are runners! There is a focus to the whole of their lives. The winners are those who concentrate, who keep their eyes on the goal, who devote everything to the training, and who let nothing distract them. (Even 5am training runs in the middle of winter)! One thing. Paul takes this athletic commitment and challenges us full on as he challenged himself. Here in chapter three he models just how much this all matters to him. He aches for Christ. Is this us? Are we ‘one thing’ people? I am not talking of people who get on with being good lawyers, or artists, or academics or clergy or bishops, or whatever it is, but are we people who deep down know that ‘one thing, one person’ actually matters more than the whole of life itself. Paul knows we need always to remember that the most important thing is to insure that the most important thing remains the most important thing. That’s biblical Christianity isn’t it? Isaac Watts puts well in that Him we love to sing. Love so amazing, so divine, demands my soul, my life, my all. I take this to mean that you should trace, face and replace anything in your background which hinders your pursuit of God. Don’t live life looking over your shoulder. No athlete runs like that! The easiest way to waste your life is to spend it hung up on what has happened in the past. I am so saddened when I hear Christians living in the past, lamenting about what might have been! Certainly we are to remember God’s mercy in the battles that are won – we only look back for the sake of pressing forward. Do not let your past define who you are today. This is the big race now. This is the only race that really matters. Press On – Aim At The Spiritual Goal. Verse 13 and 14. Veins standing out in necks, chests pushing forward, pressing on for the finish line. This Christian life is a marathon race and there is a finishing line. In relative terms, yes it is a short race, too short to coast, too short to drift, too short to look at everyone around you. Being a disciple of Jesus Christ is about going flat out in serving and becoming more and more like Him each day. …the prize for which God has called me heavenwards in Christ Jesus. Incredible! Everlasting fellowship with Christ in a new and glorified body on a new earth with no sin, no fear, no pain, and no regrets – the prize for which God has called me heavenwards in Christ Jesus. Verse 15 …Let those of us who are mature think this way. Verse 16 … hold true to what ‘we’ have attained. And what is it that we have attained? A gospel ‘once for all entrusted to the saints’ which we are mandated by Almighty God himself to declare, to proclaim and to defend. In Christ, this gospel is our unity. A unity will be built and strengthened where this apostolic gospel is loved and taught. In 1555, Bishop Hugh Latimer was burned at the stake, becoming one of the three Anglican Oxford Martyrs. He was a Fellow of Clare College, Cambridge, and Bishop of Worcester before the Reformation, and later chaplain to King Edward VI. Brothers and sister in Christ in the Convocation of Anglicans in North America, we trust the same Savior. We submit to the same Lord. We live by the same faith. We are moving towards the same eternal destination and that binds us together. In Christ we were united at the beginning of CANA. In Christ we are united now. In Christ we remain united for the future. Do this one thing because Christ has made you his own… press on toward the goal for the prize of the upward call of God in Christ Jesus. 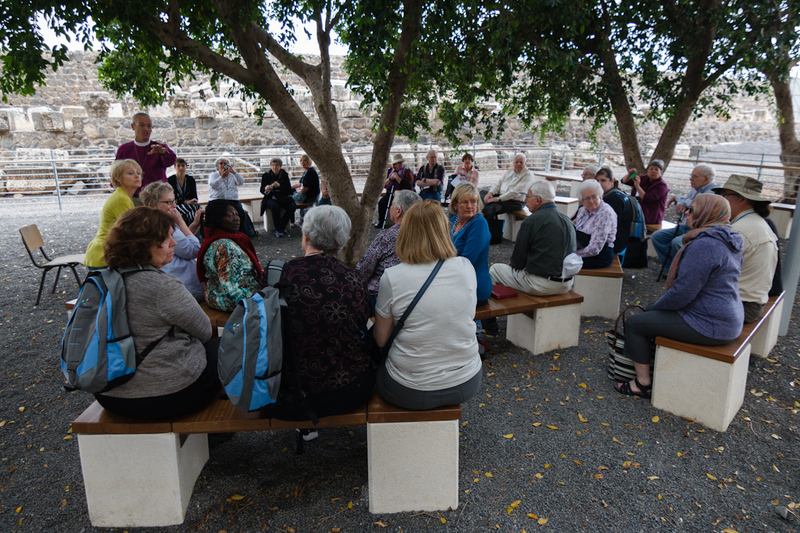 Walk where Jesus walked, study his Word, serve His people. You’ll never be the same!